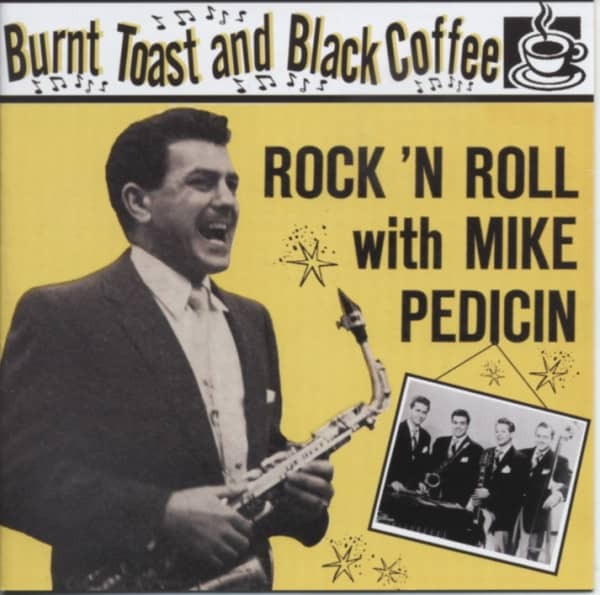 To those who live by chart statistics alone, Mike Pedicin had only two hits: Large Large House, which hit #79 for one week in March 1956, and Shake A Hand which stuttered to #71 during its two week chart run in February 1958. 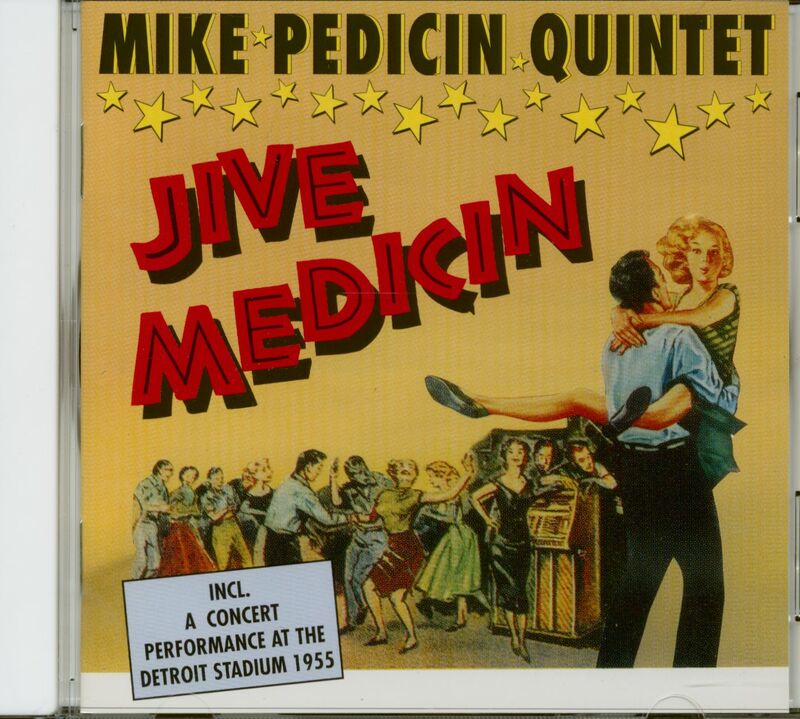 But there was more to Mike Pedicin than a mere three weeks on 'Billboard's' Hot 100. 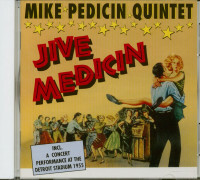 Coming of age in the era of Benny Goodman and Glenn Miller, he helped to develop a hybrid musical style which incorporated elements of swing and R&B and led directly to the commercial genesis of rock'n'roll. Some called it 'house-rock', a reference to the casino lounges of Las Vegas and Atlantic City where many of the earliest rock'n'roll combos prospered. Bill Haley and his Comets formed the vanguard of the movement by revamping Louis Jordan's sound and using Jordan's producer. Any direct comparison with other house-rockers would strain the facts but there were several prime movers who gained reputations for staying power despite a lack of hit records. The Treniers, a black band who gained their mass popularity on the New Jersey shore, especially Wildwood, were among the most important. Their handclapping, stomping, shouting blend of blues, swing and slapstick stepped out of Louis Jordan's slipstream and engendered a state of euphoria among clientelle who'd lost their shirts at the blackjack and roulette tables. Philadelphia and New Jersey played host to Freddie Bell and the Bellboys, the Tyrones, Don Haven and the Hi-Fis, Jimmy Cavello and his House Rockers (out of Syracuse, New York), the Playboys, Charlie Gracie and his Wildcats, the Esquire Boys (with Danny Cedrone who played the guitar solo in Rock Around The Clock), Billy Duke and his Dukes and Dave Appell and the Applejacks (whose pre-Cameo records were Haley-influenced). Many of these musicians would have been perfectly at home in the rhythm section of a big band but the wartime economy had waned and big bands became economically unsupportable. Freed of the stiff restrictions imposed by large regimented sections, these bearers of the good news looked mainly towards looser forms of jazz and blues. "1 listened to WHAT and WDAS in Philly" Charlie Gracie recalled. "They had Joe Turner and B.B. King. This is 1951 and only us kids knew who they were. My mother took me to see Bill Haley in 1952 when he and the Saddlemen were dressed up in cowboy suits but they'd added drums to a country band which was kinda unorthodox. 1 also bought Louis Prima and the Treniers but my own records (on Cadillac and 20th Century) retained the dying influence of the big bands. Customer evaluation for "Burnt Toast And Black Coffee - R&R With Mike Pedicin"